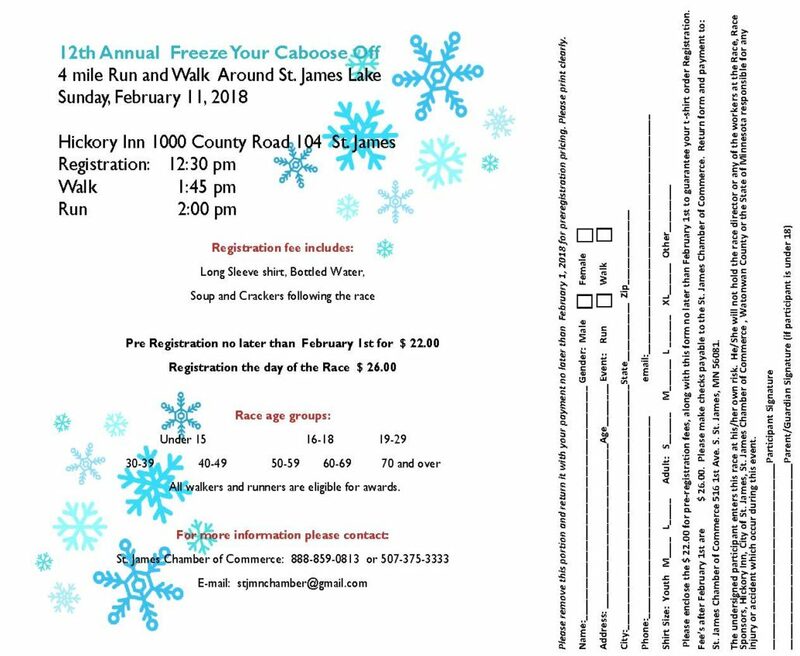 The 12th annual Freeze Your Caboose Off 4 mile walk/run will be on Sunday February 11th. Registration is at the Hickory Inn at 12:30, the walk is at 1:45, and the run is at 2:00. Click the link below for full event details and the registration form.